Hi friends. How are things going? I've been feeling so lethargic this week. I didn't really want to do anything. I got home from church today, put little girl down for her nap, and ended up taking one myself. I don't know why, but I woke up feeling so much better. I made a delicious dinner tonight, got the dishwasher running, did some reading, and now I'm watching tv while blogging. I finally feel motivated again and I'm hoping this feeling sticks around. 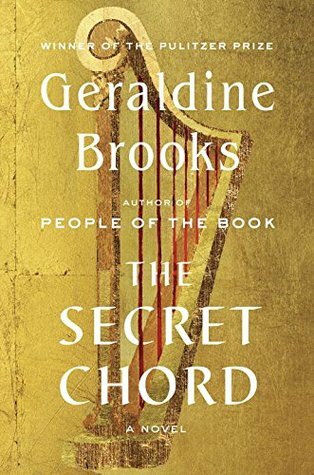 This week, I read Geraldine Brooks' newest novel, The Secret Chord. While this wasn't my favorite of her books, a new story by Brooks is always a reason to be happy. 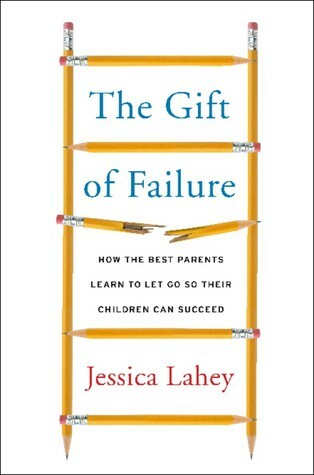 Today I'm finishing up The Gift of Failure and sneaking in St. Lucy's Home for Girls Raised by Wolves as one final Readers Imbibing Peril (RIP) read. On the blog this week, I talked about Ann Patchett's Truth and Beauty and picked some companion books to read alongside it. I also played along with the newest edition of Top Ten Tuesday, where we discussed what wishes we would ask a book genie to grant. Next up in my to-be-read pile are We Never Asked for Wings and Sweet Tooth. Hope your week ahead good! Great that you had a refreshing nap and felt heaps better, I can't sleep in the day but sometimes just rest! I have heard such good things about VDiffenbaugh books and intend reading her very soon. Enjoy. Sometimes a nap is HEAVENLY. I collapsed randomly the other day for a midday nap. I usually rouse like death though, hehe, and then don't sleep well that night buuuuut, naps are still great. ;) I'm just about to start reading Ink by Amanda Sun! Kind of excited, but dubious because I've heard mixed things. BUT JAPAN. Also the cover is super gorgeous. Glad you awoke refreshed. We do too much these days, I think. Let's all slow down a bit this week. Your Sunday sounds just about perfect to me! I loved Truth and Beauty (it was a favorite the year I read it) and remember immediately following up with Autobiography of a Face. The other two suggestions you provided sound just as interesting. I wish I liked naps more. I love the idea of naps, but in reality I usually wake up sweaty, angry, and disoriented. I like the look of We Never Asked For Wings. 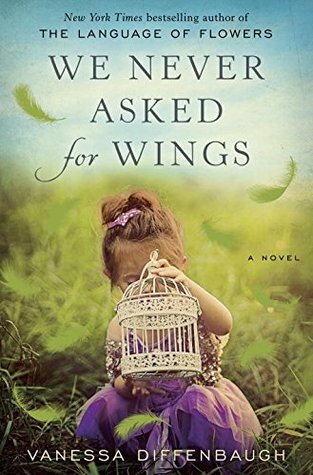 I loved We Never Asked for Wings....and enjoyed Sweet Tooth, but it wasn't my favorite from the author. Have a great week...and I often find myself grabbing a "power nap" during the day. Thanks for your thoughts on the Geraldine Brooks' book. Her books run hot and cold for me. The only one I really liked was Year of Wonders. Thanks for sharing, and have a great day. Every time I browse book blogs, my TBR list grows. I'm such a slow reader that I feel I'll never have time to finish all these books! We Never Asked for Wings went onto my list. I've had The Language of Flowers on it for some time, but I haven't gotten to it yet. 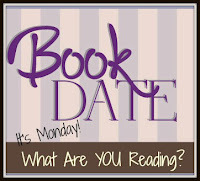 This week, I'm reading Stephen King's It (a testament to the fact I read a variety of genres lol). I'll be interested to see what you think of the Diffenbaugh and McEwan. 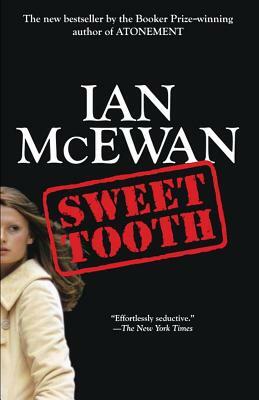 I liked The Language of Flowers and Sweet Tooth was my first McEwan...didn't love it and have since come to realize I'm just not a McEwan fan overall. Have a good week! The only other book I've read by Brooks is Year of Wonders and I think I liked this about the same. It was good in a very different way, but both had beautiful writing in common, I definitely need to check out more of her books! Do you have any others you'd particularly recommend? Ian McEwan is just so prolific - I think I have a few of his novels here in my bookshelves (waiting to be read along with so many others), but this one that you shared here is new to me. Thanks! It's Monday Again. Time for Books!